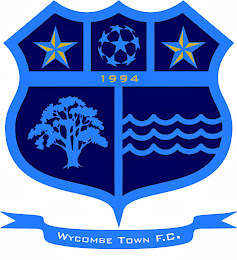 Wycombe Town FC: Through to the Semi-Final !!! Through to the Semi-Final !!! Wycombe Town FC progressed through to the semi-final of the Combination Challenge Cup with a well deserved win over a young and lively FC Beaconsfield 2-1. With several key players on the injury list, Town kept a tight defence absorbing the attacking pressure from Beaconsfield and on a counter attack took a 1-0 lead which they held to half time. In the second half Town were able to attack more often and after a sintilating passing move went 2-0 shortly after the break. From then onwards Town were able to control the game but late on a defensive mistake let Beaconsfield in to score but they held on to win 2-1.